The opening date still isn’t set, but the Newseum is shaping up to be a must see for journalists in DC when it finally does open this spring. The “interactive museum of news” on Pennsylvania Ave. will be ten times larger than its predecessor in suburban Virginia, which closed in 2002. I got a quick tour last week, and it’s impressive. There are tools of the trade (like the Bell Jet Ranger hanging over the lobby and the original Conus satellite newsgathering truck below) and icons of the industry everywhere you look. One new item is a trunk that belonged to Ed Murrow. The Newseum won a bidding war for it by correctly answering the seller’s question: what was Murrow’s real name? More recent news is remembered too. The Virginia Tech student’s cell phone, which captured video and sound during the 2007 shootings, will be on display. So will an antenna that came down intact from the top of the World Trade Center during the terrorist attack in 2001. And the body armor ABC’s Bob Woodruff was wearing when he was wounded in Iraq. Other displays bring that message home, including the bombed-out 1976 Datsun in which investigative reporter Don Bolles was killed. Bolles, a founding member of IRE, had been covering organized crime for the Arizona Republic. His IRE colleagues launched the Arizona Project to continue his reporting. Also on display: a bullet-riddled truck that Time photographers were riding in during the Bosnia war. They survived. A photo exhibit of Pulitzer Prize winners has its own permanent space in the new museum, including video interviews with all but two of the photographers. There’s now enough room to walk all the way around a chunk of the Berlin Wall, so visitors can see both the graffiti-covered West face and the blank East face with a 40-foot guard tower looming over it. TV news can only present the base bones of a story; it takes a newspaper, with its capacity to present vast amounts of information, to render the story truly boring. 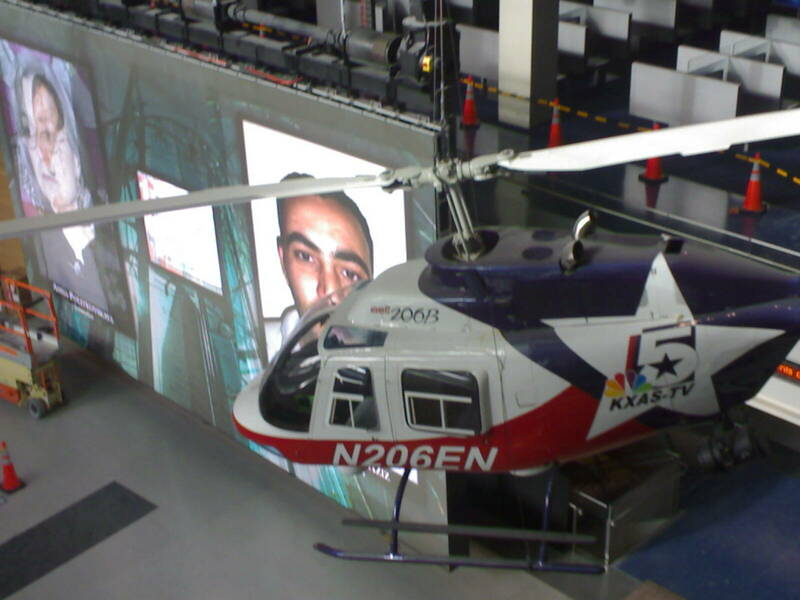 Video plays a big role at the Newseum; there are multiple theaters showing “story of news” documentaries, narrated by the likes of ABC’s Gibson, CBS’s Osgood and PBS’s Ifill. The main theater offers a “4-D” experience, including sensory elements like shaking seats and mists of water. Sounds a little hokey, but kids are bound to love it. Now the down side: admission will cost $20, and you’ll have to pay extra to “be a TV reporter” and record yourself on camera. There will be group discounts and annual memberships, but no one could tell me if a student discount is in the works nor how the museum will handle requests from academic researchers. Does the price seem too high or about right for a museum where you’d probably spend at least two hours?